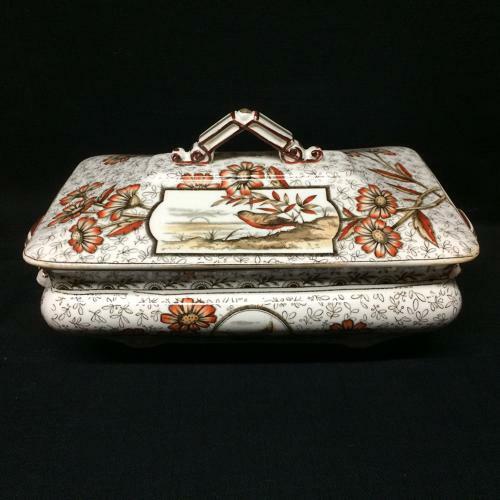 This Victorian 10 1/2 " long x 6 " wide x 5 1/2 " tall covered tureen is transfer printed in very dark brown and highlighted in orange luster. Nine magnificent cartouches are filled with geometric designs, Garden Birds and nodding flowers. Wow! Never Used. A small amount of roughness to the edge of the lid.